MIA’s aim is to build a community in which foreign nationals can reside in safety and peace of mind, regardless of language or cultural differences. One effort in this is enhancing the acknowledgement of disaster mitigation among foreign residents. 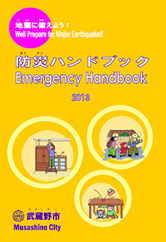 The following gives details on how to be prepared in the event of natural disasters, such as a major earthquake. The nearby elementary or junior high schools in your neighborhood serve as your emergency shelters. When you feel a big tremor, get yourself under a table before evacuating your house. Turn off all gas stoves when you evacuate. When an earthquake happens – Wait until it's safe! Prepare emergency provisions! 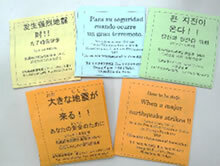 Expressions related to Earthquake Early Warning are listed in multiple languages on Japan Meteorological Agency Website. 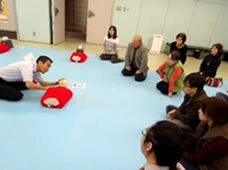 Foreign residents living in an environment of a different culture/language to their own are often among the most vulnerable in the case of disasters. 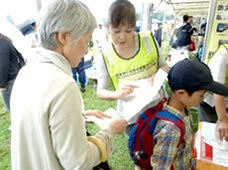 At MIA, the Disaster Prevention Volunteer Group for Foreign Residents (Bosai volunteers)　is undertaking educational activities are being undertaken, such as participating in Musashino City’s disaster drills, preparing multi-language handbooks, planning disaster prevention events in the community, etc. **New members are always welcome. 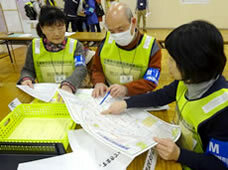 If you are interested in Disaster Prevention Volunteer Group activities, also refer to “Information of MIA Member Activities ” page and inquire.